Posted on September 8, 2018 at 3:08 pm. What Is Peyote? – Peyote is a spineless cactus indigenous to parts of Peru, Mexico, and the southwest United States. Peyote is commonly associated with mescaline, which is a psychoactive hallucinogen found in and on a peyote cactus. In general, peyote is rare, and for this reason, drug dealers tend to deceptively label LSD or PCP as mescaline just to expand their markets. 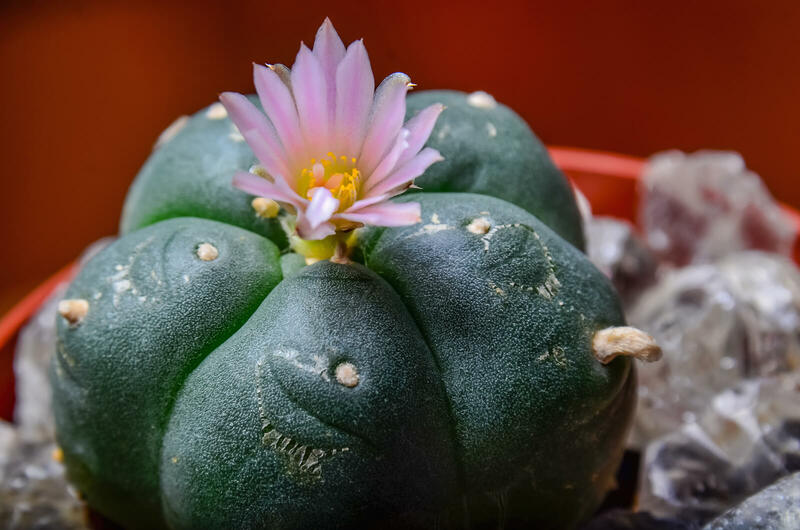 Peyote is one of the oldest known psychedelic substances. The Aztecs revered it as magical and holy. Many other Native American groups used peyote for medical purposes, such as treating alcohol addiction. Likewise, peyote found regular use in Native American religious ceremonies. Both peyote and mescaline are classified as Schedule I controlled substances in the United States. This means that they are together considered by the U.S. government to have a high abuse potential and have no acceptable medicinal uses. Small offshoots from the cactus, called buttons, are removed and dried, after which they can be chewed. A person may also soak the buttons in water to leach out the psychoactive chemical into a solution. Similarly, these buttons are often boiled in water for several hours to produce a hallucinogenic tea. Dried peyote buttons can be ground into a powder and smoked as well. Chemically, mescaline is categorized as a phenethylamine, thus it is unrelated to other psychedelics like LSD or psilocybin mushrooms. However, it belongs to the same category as synthetic psychedelics like MDMA (ecstasy). Peyote primarily targets the neurotransmitters norepinephrine and dopamine because mescaline is comparable in structure to them. Mescaline, therefore, interferes with normal chemical processes in the brain which involves these two chemicals. Dopamine is responsible for feelings of reward, well-being, and pleasure. Norepinephrine is responsible for stress, activating and modulating our instinctual fight-or-flight response, as well as affecting a person’s attention span. Despite the fact that long-term side effects that result from peyote use are rare, there have been some recorded cases of people being diagnosed with paranoid schizophrenia following prolonged mescaline trips. Evidence suggests that those with a previous history of mental illness are at greater risk to develop further mental health issues because of long-term hallucinogen exposure. There are currently no recorded cases of peyote addiction according to the Center for Substance Abuse Research. Because of its chemical mechanism of action, it seems to lack the necessary properties to generate a physical dependence. An individual can develop a psychological addiction to any substance or behavior. Thus, despite there also being no documented cases of psychological dependence on peyote, it is still possible. Moreover, habitual peyote abuse typically occurs in conjunction with the abuse of other substances, such as alcohol. While rare, peyote can be abused and can become psychologically addictive. If you or someone you know is abusing peyote, please seek help as soon as possible in the form of long-term, evidence-based inpatient or outpatient treatment. Drug abuse and addiction are best treated using a comprehensive approach that includes behavioral therapy, individual and family counseling, and group support. Inpatient treatment requires patients to reside 24/7 at our center while receiving around-the-clock medical supervision and emotional support. Intensive outpatient therapy is beneficial for those who have completed inpatient treatment, have less severe addictions, or need time away from the center to attend to personal responsibilities such as work and family. Aftercare planning services and alumni activities are also available to former patients for lifelong treatment and support if needed.